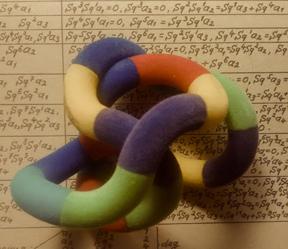 While the semester program as a whole is inspired by the original view of topology as analysis situs fueled by applications in natural sciences and engineering, this workshop emphasizes the impact of topology and geometry on discrete structures. Combinatorially inspired configuration spaces, such as arrangements of points, lines, hyperplanes, polytopes, and the like, provide intricate material and ongoing challenge for topological and geometric techniques. The latter have often gone through a process of adjustment towards their discrete, stratified objects, as in the case of discrete Morse theory or application of Fourier analysis. Notably, the recent solution of the log-concavity conjecture for matroids by Adiprasito, Huh and Katz was achieved by developing Hodge theory for combinatorial geometries which opens up most exciting perspectives on further applications. The construction of higher dimensional expanders is yet another promising direction. Inspired by the rich theory of graph expanders and drawing on the techniques of combinatorial algebraic topology, the goal is to design high-dimensional simplicial complexes with strong connectivity properties. New applications abound, like the impact of discrete geometry on social choice and mathematical economics through balancing theorems and equilibrium configurations. This workshop is about building bridges - providing intricate, combinatorially inspired spaces to the topologist and geometer, and versatile geometric tools to the combinatorialist. Computational and algorithmic aspects as well as experimental evidence are crucial for this purpose. This thematic semester aims at exploring those areas of topology where the research challenges stem from scientific and engineering problem and computer experiments rather than the intrinsic development of the topology proper. In this context, topology is a toolbox of mathematical results and constructions which impacts and inspires developments in other areas. Born as a supporting discipline, aimed at creating a foundation of intuitive notions immensely useful in differential equations and complex analysis, algebraic topology remains indispensable in many disciplines. Our goal here is to concentrate on relatively recent areas of research enabled, in particular, by the computational revolution in mathematical discovery. This workshop will bring together researchers interested in a panoply of unusual configuration spaces, arising in applied fields or in plausible models, to look for similarities or creative tensions between them. This workshop will explore topological properties of random and quasi-random phenomena in physical systems, stochastic simulations/processes, as well as optimization algorithms. Practitioners in these fields have written a great deal of simulation code to help understand the configurations and scaling limits of both the physically observed and computational phenomena. However, mathematically rigorous theories to support the simulation results and to explain their limiting behavior are still in their infancy.